Download My Book for FREE From Amazon Today!! I have to be quick, the eyes of the Illuminated Ones are everywhere! 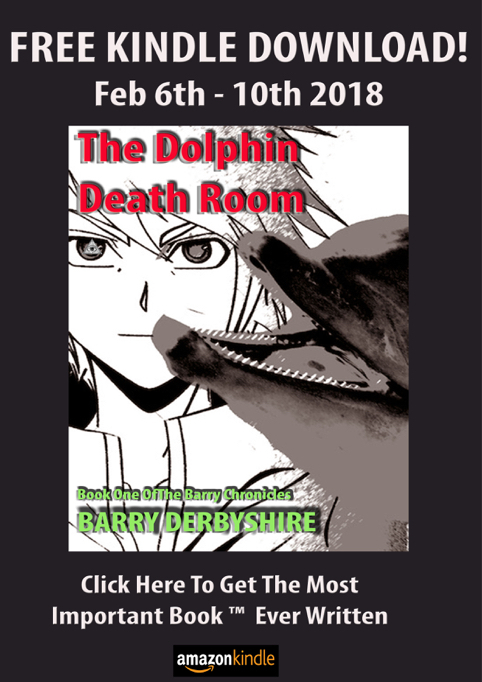 From today February 6th 2018 the first book in my series of INCREDIBLE revelations that REVEAL THE TRUTH about MY MILLIONAIRE BILLIONAIRE world, 'The Dolphin Death Room: Book One of The Barry Chronicles' is available FREE from Amazon's Kindle Store. It's only for 5 Days so HURRY and help me spread THE TRUTH about what has happened to me! IT WILL BLOW YOUR MIND. billionaire business idea conspiracy illuminati millionaire revolution THE TRUTH! Get The Amazing First Installment of The Barry Chronicles Book Here!